Our Saxo trading platforms carry the following advanced features. 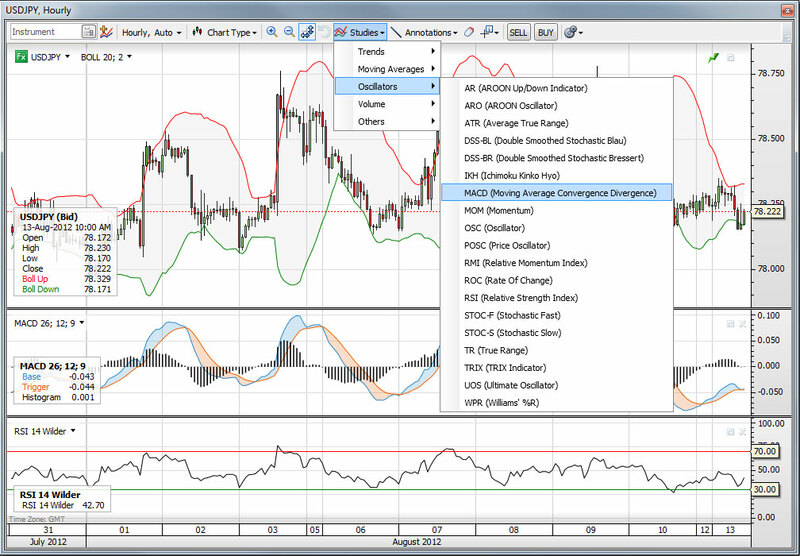 Chart styles include: Bar, HLC Bar, OHLC, Bid/Ask, Candlestick, Dot, Forest, Line, Line-Dot, Staircase and Comparative. Full drag and drop functionality when adding new and amending existing orders allows you to manage orders while never leaving the chart. 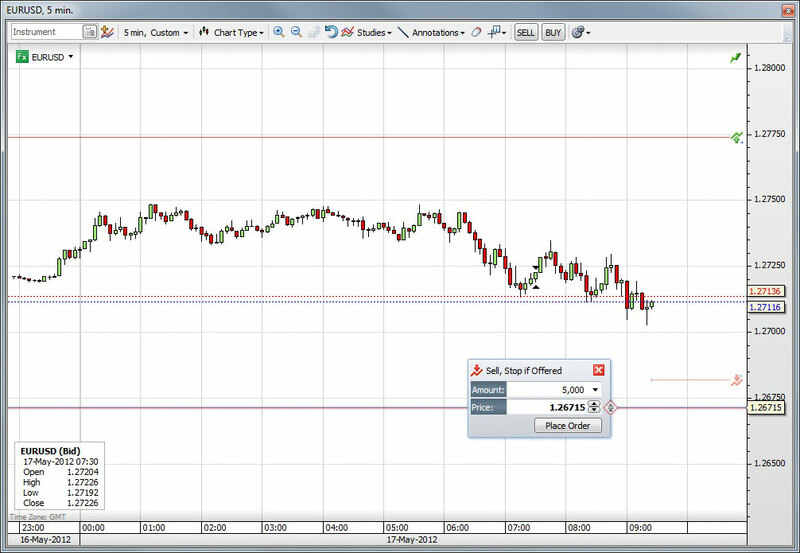 Click Buy or Sell in the toolbar and easily place your entry order at strategic levels by dragging or typing a price. Then select amount and click “place order”. You can also click and drag existing orders. 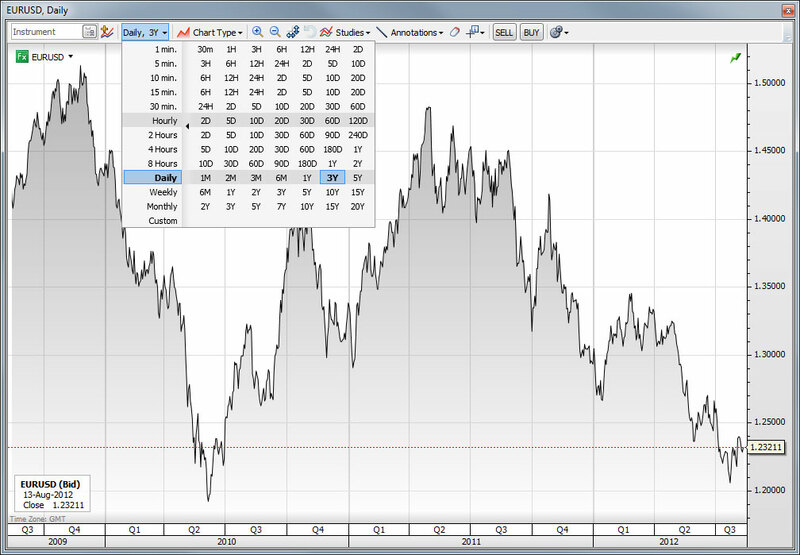 Analyse the relative strength of two instruments using the comparative chart mode – or simply view multiple instruments with separate price axes. 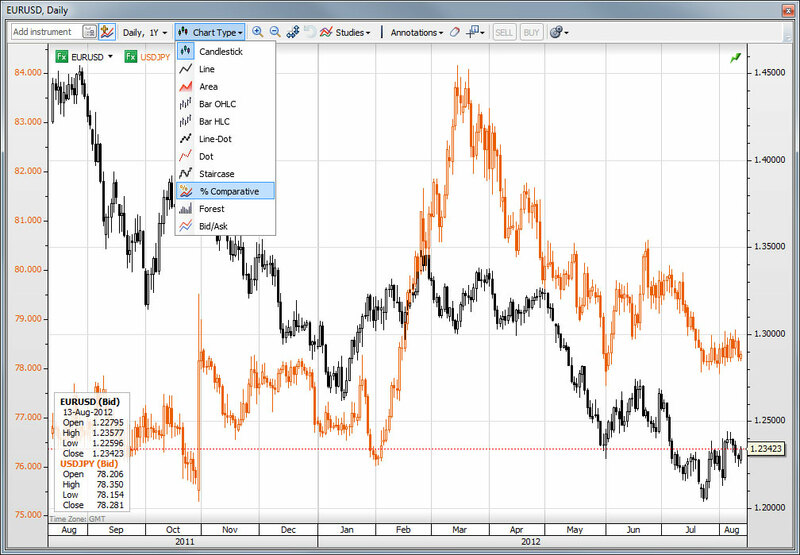 Quickly add multiple instruments to the chart, use the comparative chart type to analyze the relative performance of two different instruments, ie Anglo’s vs Billiton. Handy for pairs trading. 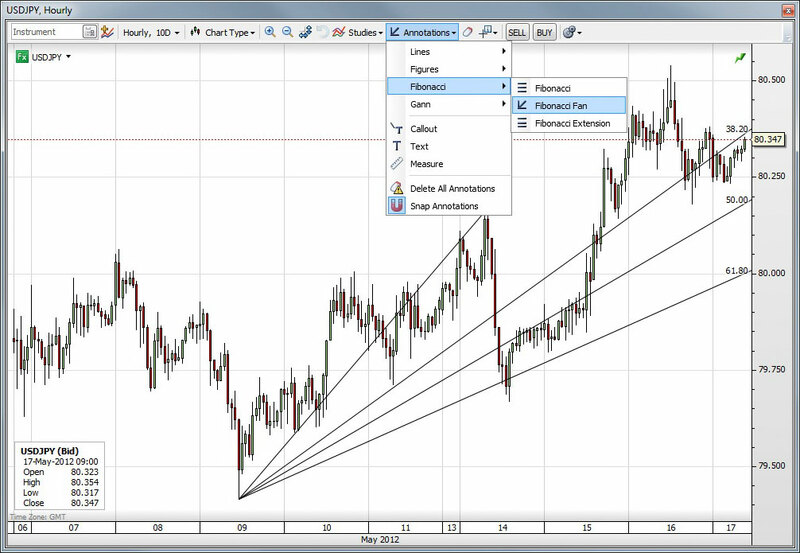 Fast and accurate annotations tools allow you to quickly mark up support and resistance levels, Fibonacci retracement levels – and much more! Quickly add lines, text, measurements etc. And you can just as easily get rid of them – simply hove over your annotation and then click on the eraser. 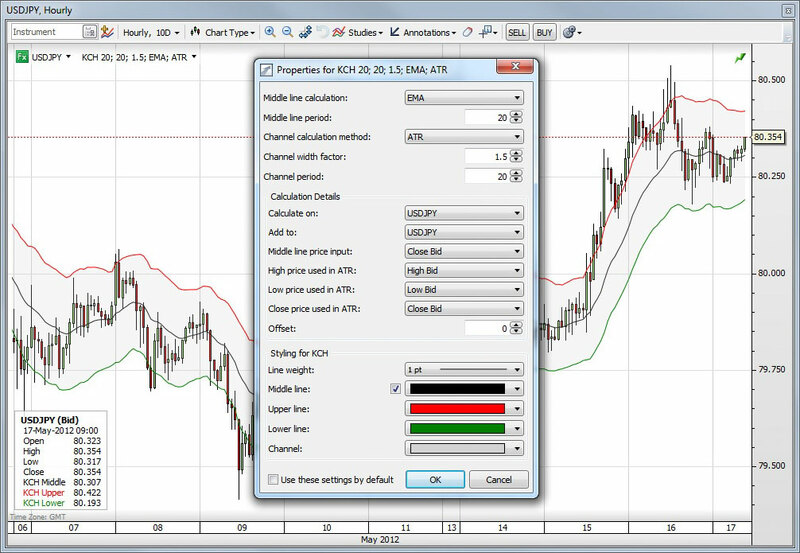 The charting module offers a wide range of built-in Trend indicators, Moving Averages, Oscillators, Volume Studies – and more! 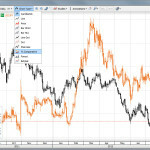 You can add your indicators as an overlay on your existing chart, or as a separate box below your existing price chart. Remember, more isn’t always better – the more different indicators you add, the more contrasting signals you will get. Keep it simple. Today’s technical traders demand flexibility from their trading software, so all settings of the built-in technical indicators are highly customisable. The image shows you how you can set the Keltner Channel exactly as per your preferences – including colours, styling, line weights, calculations, periods, basis, and more. Quickly switch between various period and range selections with just one click via the new period and range selector grid. This is very much the same as what you get on Bloomberg. For example, if you click on 3Y in the “daily” column, then you will get exactly 3 years worth of data, in daily intervals. 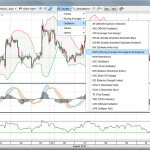 The Chart module offers zoom and scale functionality allowing traders to highlight specific areas of financial information. Auto-resizing is also available for increased usability. 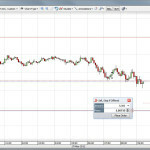 The charting system allows quick movement around the price data for any market. 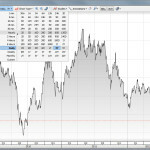 Drag the chart to see past data; Drag the axes to scale or compress the chart; Zoom in and out using the zoom tool; Auto Scale which fits data automatically to size of chart.